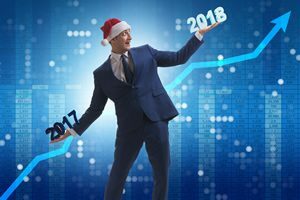 With 2017 coming to a close and holidays up ahead, it’s important to be aware of upcoming trading holidays. The CME (Chicago Mercantile Exchange) website has all of the information for upcoming closures. Did you know that the market will close early on two consecutive days for the Thanksgiving holiday? Will you be able to trade on Veteran’s Day? Let’s take a look at what the CME says. The hours posted here apply to CME equity, interest rate, FX, energy, metals, and DME markets. This includes the E-mini S&P. Firstly, the times below are provided in US/Eastern (ET) format. On Nov. 5, clocks in the U.S. will “fall back” an hour, making you feel like you had an extra hour of sleep and more daylight at the end of the day. 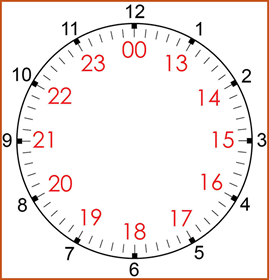 In effect, US/Eastern time switches from GMT-4 to GMT-5 (or UTC-4 to UTC-5, if you prefer that labeling). Also, note that on some holidays, the markets reopen in the evening the same day. Generally, market activity is much slower around big holidays. It’s probably best that you stay out and wait for normal conditions to return. Use an ATR with a period value of four. The next major holiday is Veteran’s Day, Nov. 10. The markets will be open normal hours. No closures or odd market hours. After that, Thanksgiving Day falls on Thursday, Nov. 23. On Thanksgiving Day, the markets close early at 1:00 p.m. ET. On the following day (Nov. 23, a Friday), the markets will also close early, but at 1:15 p.m. ET. Next, we have December. As you probably expect, the markets are closed Christmas Day (Dec. 25). The markets reopen Christmas Day at 6:00 p.m.
New Year’s Eve is a Sunday. New Year’s Day, Jan. 1, 2018, falls on a Monday and the markets will be closed. Markets reopen at 6:00 p.m. that day. This trading calendar for 2017 should fill in the blanks for any additional days. Use NinjaTrader? You will have to know how to place trades. The SuperDOM is what we use. In other platforms, it’s called a price ladder or a matrix. Think of it as a remote control for the market. You can place different types of buy and sell orders. Open a SuperDOM window via NinjaTrader’s Control Center > New > SuperDOM (Dynamic). You should then see the SuperDOM. With the SuperDOM window now visible, you must make one very important adjustment: select the instrument you want to trade. Normally, the instrument you select (e.g. ES 12-17) should match the chart you’re looking at. There are three types of orders that you’re probably going to use. The most common will probably be Market Orders. These orders are placed at the current market price (whatever the market is currently trading at) and can be placed long or short (buy or sell). On the SuperDOM, the current market price has a yellow highlight. Note that the SuperDOM has two columns: a buy column on the left and a sell column on the right. At the bottom of each column, there is a Market button. Click this button to place a corresponding Market Order. Limit orders are the next order type. Think of this type as saying to the market, “I want this price or better.” There are specific rules for placing limit orders. If you want to place a buy limit order, you can only place the order below where price is currently trading. Left-click the price you want in the buy column of the SuperDOM below the current market price. If prompted, click Yes to accept the order. The same approach works for placing sell limit orders, only you will need to place them above where price is currently trading. After placing a limit order, note how “LMT” appears on the SuperDOM to indicate the type of order in play. If price touches your limit order, there is no guarantee that you will be filled. If price goes through your limit order, then you should be filled. The next common order type is a stop order. A stop order is almost like the opposite of a limit order. Place a buy stop order above the current price you want to buy at. Similarly, place a sell stop order below the price you want to sell at. To place a stop order, click your middle mouse button on the desired price in either the buy or sell column. A little popup will appear, that lets you specify the limit (effectively making your order a “stop with limit” order), which indicates the amount of slippage you are willing to accept. If you leave the value at 0, then you are not willing to accept any slippage. If you set the value to 1, then you are willing to accept 1 tick of slippage. Stop orders can also be used as a protective measure to get you out at a specific price. Refer to the video for more information. If you hold the Ctrl key on your keyboard and use the middle mouse button click, a regular stop order will be used. Lastly, the video discussed MIT (Market If Touched). MIT orders help ensure a fill when price touches a desired price, instead of going through. An MIT order is placed as a limit order, which then becomes a market order. To place one of these, use the Ctrl key + the left mouse button. To learn how to place trades, be sure to watch the video in its entirety because there are a number of important tips at the end. See more trading videos here. Do you recall John Paul’s predictions from earlier this year? He said the E-mini S&P would go up by the end of 2017. Look at what’s happened so far. The E-mini S&P has reached all-time highs! This video summarizes the January Effect trading strategy as well as an approach to finding additional opportunities in the next couple of months. You’ll learn enough to know where to place those profit targets and stops. In short, the January Effect works like this: if the month of January closes higher (usually January 31) than the price when it opened (usually January 2), then you can expect to also close higher in December of the same year. Of course, any trading method is subject to fail with a significant financial loss, so only trade with money you can afford to part with. In most cases, price rises consistently throughout the year, which provides many entry opportunities. If your brokerage account allows, you can ride the price up, hopefully to profit territory. How Do You Place Your Profit Targets and Stops? The January Effect entries require a bit of understanding. Firstly, you have to wait for price to drop. This will need to occur for a few days. Then you’ll need to see price begin to head back up for about six or so days. Use the Fibonacii tool and configure it to show three lines: a line at 0%, one at 50%, and the other at 100%. This helps because to can accurately see the halfway point between two price values. Apply the Fibonacci tool to the retracement. Wait for price to pass through the 50% with momentum and you have yourself an entry. To know when to get out, watch the video. This is just one of the many trading methods John Paul will touch on during the next eight-week Mentorship Program. You will learn all of his trading strategies. By the end of the eight weeks, you’ll have a complete understanding. All courses and software are included with lifetime licenses. It’s one of the best deals for personal coaching (with solid, unique methods) available today. Two of the best trading systems for 2017 are the Atlas Line and ATO 2. John Paul’s recent webinar taught traders how to handle slow market activity often seen during summer months. As we head into late summer, we’ve fortunately seen an increase in volatility. The ATR (Average True Range) is used as the indicator of volatility, with a range of 2 to 4 points considered good for trading. We’ve seen a few days lately where it’s reached around 3 points. Faster markets mean more potential, which means larger possible profits (and losses). Take a look at this ATO 2 trade in this video, for example. This trade was taken at the end of a live webinar. You can hear John Paul answering questions from one of the attendees. The ATO 2 trade can take up to twenty minutes or so. That’s why the video was sped up. If price did not reach the profit target, one of the stop strategies would have been used, such as a 20-minute time-based stop. Let’s say price suddenly dropped away from the profit target. That’s where the catastrophic stop is used. It’s a safety net for sudden and significant loss. This trade was worth +2.25 points, equivalent to $112.50 per contract on the E-mini S&P. The DayTradeToWin.com website has a free trading downloads section that contains many useful links. 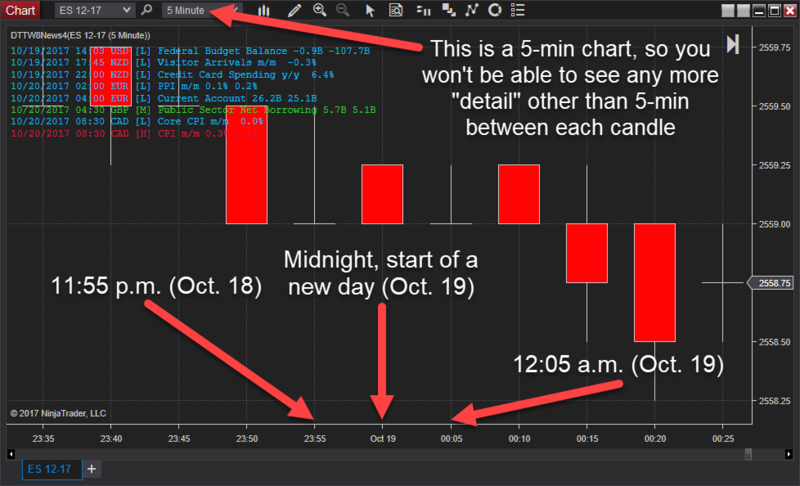 You can download the NinjaTrader 8 trading platform, a free news indicator, and time sync software to keep your computer’s clock in check. What about the Atlas Line? Let’s jump to early in the webinar. The Atlas Line produced a short signal at 2459.25. This signal appeared because of two closing candles below the dashed blue line. If price produces two closing bars above the line, a long signal will appear. Notice how this trade appeared soon after market open. The ATR is above 2.5 points. For the additional Strength and Pullback trades, look to see if the market is overbought or oversold. Look at the 10:05 a.m. Strength signal. Even though it worked out, John Paul believes it was riskier because the market was more oversold. The Atlas Line can produce two or more trades per day. When factoring in the Strength and Pullback trades, you have plenty of opportunities. Pick the best. There’s no need to chase the high-risk trades. At about 22:00 into the video, follow along and try your hand at guessing the profit target. If the target is touched, then you may want to close our of the trade. You can close out at market or use an MIT order (market if touched). Because this was 2+ point trade on a Friday, it’s better to be more conservative. Exit the trade. If you lose a tick, it’s not a big deal. The Mentorship Program is the best way to get the ATO 2 and Atlas Line in one package. In fact, you get over 10 strategies with lifetime licenses. We have new classes that begin all the time. The next one is August 28. Click here to check out the details. Classes are twice a week in a webinar room. You can see John Paul’s charts as he explains how to find trades. The goal is to have you learn, not blindly follow a trading room or an indicator.